The Foxleigh coal mine near Middlemount is set for a $24.5 million fleet upgrade. 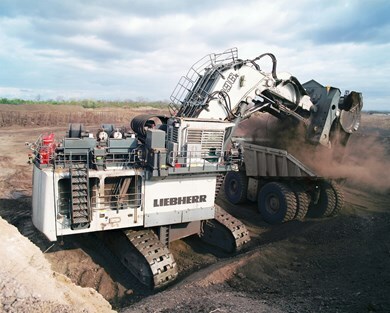 Two Liebherr 9400 excavators and one Liebherr 996B excavator have been ordered to replace ageing equipment at the site, majority owned by Realm Resources. Realm says the new excavators will be delivered and commissioned progressively over the next nine months, which will reduce the risk profile of the mining fleet and help meet production targets in future years. In market update this week, the company also highlight its exploration progress at the mine site and surrounds. This included drilling at Foxleigh Plains , which Realm said had indicated the coal resource continued to the north, paving the way for potential extensions to the currently proposed “life-of-mine” pit shell. Backed by Taurus Funds Management, Realm Resources (via its 99.9 per cent interest in Middlemount South) acquired a 70 per cent interest in Foxleigh mine last year from Anglo American as well as two exploration areas. Its Foxleigh joint venture partners are POSCO Australia (20 per cent) and Nippon Steel and Sumitomo Metals Australia (10 per cent).